Excellent for those cold winter days. Keep your fingers extra cozy with these riding mittens. These quality leather mittens are lined with Thinsulate for added warmth. 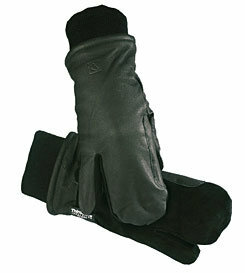 They are reinforced in key areas for durability and have a knitted cuff for added protection against wet. The little finger is separated from the rest of the mitten for rein control.